I typed in “Borders Bankruptcy” into the WordPress search bar; I wanted to do a little research, find out what others’ thoughts were on this event. It was a little surprising to see how many people weren’t shocked in the least bit about Borders’ recent demise. Words such as “inevitable” and phrases like “saw it coming” were plastered on blogs one right after another. With more research, I’ve found they did in fact stock six different devices in their stores, but none gained any attraction. Was it too little, too late? In an attempt to make more money, they also expanded overseas, maybe instead of spending millions on making this feat possible, they should have downsized at home. But they did. In the last five years, Borders got rid of 16,000 employees when they closed 200 stores; currently, there are 19,000 employees down from 35,000. 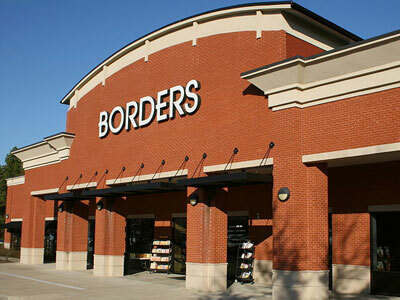 Those remaining employees are dwindling now as Borders acts on closing 433 more stores around the country. Again, maybe it was just too little, too late. This downfall, with the many reasons mentioned already, is also probably due in part to their major competition, Barnes & Noble. I can’t help but picture it in my head; Borders, the goofy kid brother always following in the footsteps of his older brother, Barnes & Noble who never lets Borders play ball with him and his friends. You just can’t help but feel sorry for Borders. Their reorganization plan calls for a new outlook. Once they are out of debt ($1.29 billion in debt, $1.27 billion in assets) they plan on focusing more on non-book items and electronics; where the money seems to be. According to Borders President Mike Edwards, they plan to fully recover by August or September, just in time for the holiday season which, would definitely be ideal. But hold the phone. Non-book items? Electronics? But they’re a bookstore! Maybe this is a different subject entirely, and I shouldn’t dabble in it just yet, but as soon as I read what they planned on doing after recovery, I couldn’t help but slump a little in my seat. But I guess they’re on a quest for survival and one must give the public what it wants. Not only that, many people’s jobs and well-being are counting on it. Can they do it? Only time will tell. Follow this link from The Wall Street Journal to find out if your neighborhood Borders is closing. Disappointing. I have heard this was going to happen for a while. But I really like this bookstore. Shame.